A sophisticated midsize-luxury sedan with semi-autonomous capability, the 2018 Volvo S90 gets a radical increase in wheelbase this year. With its newfound 4.5 inches of additional rear-seat legroom it's now more spacious than the popular BMW 5 Series and Mercedes-Benz E-Class as well as the Audi A6 and Cadillac CTS. 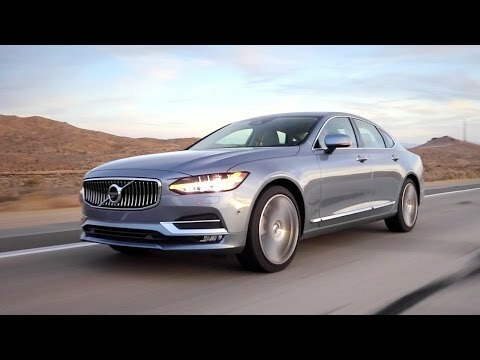 All-wheel drive is available, and the new Volvo S90 is offered as a 400-horsepower Plug-In Hybrid. It's rear passenger legroom is unmatched. It is about 5 inches longer than the leading competitors. One of the best cars I've owned. Super responsive, very innovative infotainment center. The back seat is bigger than most SUVs. The seats are comfortable. Goes through gas very quickly. The air conditioning is way too loud. The notes on dashboard do not go away after the problem is resolved. Volvo Car USA LLC (Volvo) is recalling certain 2017-2019 Volvo XC90, S90, V60, V60 Cross Country, V90, XC40, XC60, and V90 Cross Country vehicles. The software installed in the Vehicle Connectivity Module (VCM) may have an error causing the Telematics and Driver Support Systems to function improperly. As a result, the GPS will not provide location information to emergency personnel in the event of an emergency. If the GPS location is not provided to emergency personnel it can inhibit emergency response in the event of a crash or injury. Volvo will notify owners, and dealers will correct the software, free of charge. The recall is expected to begin January 7, 2019. Owners may contact Volvo customer service at 1-800-458-1552. Volvo's number for this recall is R39917. Updated weekly, the Kelley Blue Book® Fair Purchase Price for new cars is generally the midpoint of the Fair Market Range. It is Kelley Blue Book's estimate of what a consumer can reasonably expect to pay this week in their area for this year, make and model used vehicle with typical miles and configured with their selected options, excluding taxes, title and fees, when buying from a dealer. It's based on actual used-car transactions, plus data from other reliable third-party sources as well as market conditions.